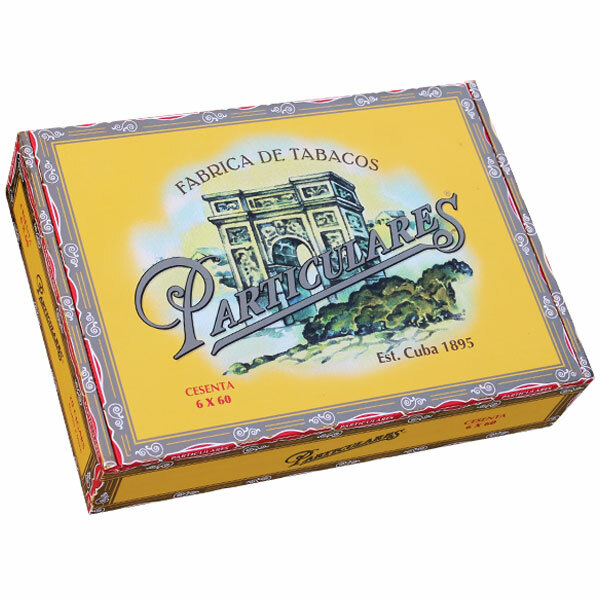 In the late 1800s, Segundo Lopez introduced the Particulares brand and later Particulares factory in Cuba. The same man would later go on to establish Byron cigars and the single most renowned cigar in the world: Montecristo. While the latter two have continued on in one form or another to this day, the Particulares name was left collecting dust… until now. Introducing Particulares by Sindicato, a revival of this classic Habano that stays true to the cigar’s historic beginnings. Packaged in authentic, Cubanesque dress boxes of 20 cigars, using the original Particulares vista artwork, the cigars certainly look the part. But it’s the blend that will have enthusiasts coming back. Working with the Fernandez family and their renowned TABSA factory in Nicaragua, Particulares incorporates 100% Nicaraguan tobaccos. Using a puro blend helps to mimic the classic Cuban profile, which is facilitated by the Fernandez family’s own AGANORSA leaf - among the most sought-after tobacco in the world. Experience the revival of this historic brand, featuring a traditional, refined smoking experience worthy of its nostalgic concept.